Assuming I have established a viable case for the 3D virtual workplace in post 1 and 2, what about the actual planning, design and virtual architecture required to support it? What are the new characteristics of this environment that deserve consideration when developing a virtual workplace? There is a lot to cover here, but I’ll do my best to include the main areas I think deserve the most attention. First of all, the entire concept of user-generated content adds a unique twist to the virtual workplace. The ability for employees to build and customize their own spaces presents a whole new opportunity not possible (to this extent) in the physical workplace. The visual metaphors workers can evoke with 3D content can be quite illuminating. Erica Driver posted some excellent insight about this in a post back in February that I didn’t see until just last night – well worth a read. Every individual and team can customize their spaces to reflect their interests and status. Ultimately, there is no limit to the amount of creativity people will exhibit when given the opportunity and the tools to create anything they can think of. What they choose to do with those tools can convey a lot about who they are, and what is important to them – valuable currency in any kind of team-based collaboration. Synchronous presence is also an obvious benefit to working virtually, but what about asynchronous presence? In a previous virtual workplace project I worked on, we employed a kind of ‘totem’ system whereby each employee had their own totem to rez wherever they wanted to suggest their interest or presence. The idea was that, if each project in a company had several employees working on it, they could each rez a totem nearby, so anyone could assess at a glance who was involved with which project . In workplaces that are more self-organizing, this can be an informal yet highly effective way for employees to suggest their interest in joining a particular team or working on a specific project. Taking it a step further, the totem can be programmed to communicate with a back-end database storing additional information pertinent to that employee’s status – such as on or offline, a list of projects they’re currently working on, their daily schedule, and more. Virtual interaction also brings a lot of new opportunity for improved methods of communication and collaboration that are native to virtual environments and not easily achieved in physical reality. Obviously a personal favorite of mine is Wikitecture, which I think could also be a very useful tool in virtual workplace development, but there are quite a few new tools being developed, such as MIT’s virtual conference rooms that have the potential to make virtual meetings even more effective than real life ones. I think it will be interesting to see what Peter Quirk comes up with in this area as well. 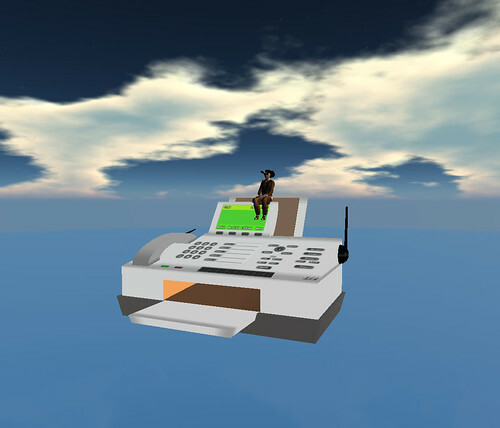 His most recent post (found here ) has some interesting thoughts on the topic, especially observing the immediate realities of Second Life interface, and what can be done to improve it for virtual work. The 3D cameras Mitch Kapor recently demonstrated will certainly improve the capacity to more naturally communicate in a virtual world. We have only scratched the surface of what a 3D interface can do to enhance collaboration, conferencing and communication. In terms of actual deployment, it isn’t enough to simply buy an island and let employees build whatever and wherever they please, imho. It might be a useful temporary exercise in helping employees experiment and explore, and perhaps strong communication between employees might result in a coherent and useful workplace infrastructure, but chances are, it will result in a hodge–podge of stuff without any coherent order (see our first experiments with Wikitecture illustrates the outcome). This might be OK if it is always the same group working together on the same projects consistently, but it can quickly become challenging or impossible for new employees to understand and navigate, and does nothing to communicate the company’s core values, goals or vision. It becomes an exclusive function of individual expression, with no sense of direction. On the other hand, a highly structured and polished workplace isn’t necessarily the right approach either. Without some degree of flexibility or room for employee expression, the place will remain sterile and lifeless. It is best to find a balance between the two extremes. There are lots of ways to approach this, but one of my favorites is what I think of as ‘bone and muscle’ approach. With this concept, you establish a coherent structure or backbone that organizes teams, departments or shared group workspace elements of the workplace, then encourage the individuals and teams to customize their spaces with their own content and design. In this way, the organization is able to establish a common visual language and wayfinding strategy for the shared infrastructure, yet employees are able to enjoy the freedom and expression of their own interests and abilities. It is not unlike a city infrastructure – starting with roads, sidewalks, public plazas and land parcels (the backbone), with independent architectural creations (the muscle) completing the urban fabric. I employed that technique on this project, and used a similar strategy for Architecture Islands infrastucture, for the arcspace build and, to some extend on Clear Ink Island. In each case, I learned something different about the various ingredients that need to compliment the architecture in order for community and productivity to thrive so it doesn’t whither on the vine, but that will be the topic of another post. The jury is still out on this debate, but there is certainly a question of whether an organization should simply replicate its physical architecture exactly as it is in real life, and use it as their virtual workplace. My personal feeling is that fresh virtual context brings new opportunities and deserves fresh ways of rethinking the architecture. Having said that, I still think there is distinct value in replicating a building, but only if it is a signature piece that has some value or is easily recognizable and reinforces the organizations identity or history. In this way, the building serves as a kind of logo for the organization. However, I don’t think it is appropriate to replicate the entire building exactly as it is built in real life, unless it is to be used as a tool for training and orientation. Not only will it feel strange to the avatar scale, but it will also feel too enclosed and uncomfortable. Perhaps the replicated architecture can serve as a kind of backbone structure upon and around which a more free-form level of customized environment can emerge. However, in the end, it is impractical to expect that a building will function the same way it does in real-life when replicated in Second Life. In cases where no signature (or singular) building exists, perhaps the virtual architecture can achieve that identity in ways the real-life architecture could not accomplish. In a project I recently worked on, the company CEO suggested that one of the primary goals of the project was to give the employees the sense that they are still all working together under one roof. Early in the company’s history, all of their employees worked together in the same space and shared a sense that they were all working together in the same space. As they grew, and opened other offices around the world, they lost the sense that they were all working together. In this case, the goal for the virtual workplace was to serve as a functional and visual metaphor that the employees could still, in a sense, come together and work in the same shared virtual space. In this way, the virtual architecture can serve as a powerful visual metaphor, helping to solve a core challenge the company is facing in a way that physical architecture could never achieve. In physical reality, the expressiveness of architectural form is necessarily limited by forces such as resale value, and regional context, not to mention laws of gravity and protecting inhabitants from the elements. For the most part, a virtual workplace is free from such limiting factors, allowing for a far more referential expression of a company’s organizational structure, core values and vision. Where virtual workplaces lack, they more than compensate for in opportunities and advantages not possible in real life. For these reasons and more, the time is absolutely right for any company, large or small, to start exploring the potential of a 3D virtual workplace. I won’t even hazard a guess as to the combined total number of employees working for these companies, but I’m sure its astronomical. To be fair, what we might call ‘presence’ is, for the most part, a combined total of thousands of square miles of vacant ghost-sims left in the wake of last year’s hasty marketing boom. But, just for the sake of argument, lets imagine that technology continues to advance exponentially, and that 5 years from now, virtual worlds will make telecommuting feasible for just 1 percent of the employees these companies represent who don’t already telecommute. What kind of an impact would that transition have on the physical architecture that traditionally supports the workplace? What if it were 5 or 10 percent? What about 10 years from now? Lead-times on planning, designing and building physical architecture can easily exceed 5 years, so I don’t think I’m being unreasonable to think that far ahead. Would we stand to gain anything from a workplace exodus on that scale? Starting with remote worker isolation, it has long been known that one of the most common challenges for telecommuters, and their in-house peers is the perception of isolation. Often, remote employees can feel distant or left out of the daily pulse of the physical office. Opportunities for chance encounters and informal socialization are lacking, which can have a negative impact on the teleworker’s ability to feel connected to the rest of the team. Virtual workplaces can readily enhance the sense of presence, and bring remote employees together. As collaborative technologies continue to emerge in virtual worlds, teams will be able to effectively work together in a shared space, even though they may be located in distant geographic locations. In my opinion, collaboration technologies in virtual worlds are still the weakest link in the movement toward the virtual workplace, but there are good reasons to believe that these challenges will be overcome in the months ahead. Until that time comes, the ability to do real work beyond immersive collaboration, communication and 3D simulation is just out of reach. I’m definitely not suggesting to wait on collaborative technology; that would be a mistake, imho – more on that later. I don’t think we can overestimate the expense of the physical architecture required to support a workplace environment. It is incredibly expensive to build and maintain, and very expensive to change. Virtual architecture costs are minuscule in comparison and far easier to change. It behaves more like a liquid than a static artifact, and has the advantage of being very flexible. It can shift-shape on the fly to reflect the specific needs of that moment. Furthermore, data can be integrated such that the entire workplace environment comes to life with active and dynamic data that is directly relevant to the work being done. Taking this a step further, the architecture of the workplace could even become reflexive or intelligent, insofar as it can recognize and respond to the number of people occupying a space, or even change scale to reflect traffic patterns and popularity of some spaces over others. This kind of flexibility and data integration into the architecture and virtual interface of the workplace itself might seem trivial at first, but I think a fully functioning environment imbued with relevant data and responsiveness could lead to a whole new workplace structure and methodology. Furthermore, when you look closely at what people actually do when they work together in an office that seemingly necessitates physical presence, it becomes evident that there are several modes of collaboration that could just as easily be accommodated in virtual spaces. When people do sit down and work together in a physical space, what is it that they’re doing that cannot possibly be accommodated in a virtual workplace? Viewing PowerPoint decks? Looking at a white-board? Conference calls? Virtual worlds already accommodate these activities quite well, and are getting better at it (so too thinks Forrester if you feel like splurging for the $279 report), so it won’t be long before the majority of daily interaction can just as effectively transcend physical space for virtual space. In the near future, I believe we might finally be able to transcend PowerPoint with new modes of virtual presentation and relevant data integration within the virtual space – but we’re not quite there yet. Obviously, nothing can replace physical presence when it comes to high level business interaction, where the nuances of body language are vital, but seriously, what percentage of workers actually engage in this kind of top level strategic management meetings on a daily basis? Another obvious scenario leading to the rise of the virtual workforce is the cost of commuting. Not only is it becoming more expensive, it is becoming increasingly crowded and less desirable. CEO’s for Cities recently posted some thoughts on the Forbes article on the same topic. The time-starved lifestyles many of us lead invite any opportunity we can find to save precious time. Spending 30 minutes in the car driving to and from work is a major loss of valuable time. Spread out over the course of a week, a 30 minute commute (not uncommon by any means) could shave more than 6 weeks worth of workdays over the course of a year. Think twice before criticizing virtual workers for spending time customizing an avatar if you spend 260 hours a year stuck in traffic, commuting to a redundant workplace. It is also of vital importance to note that virtual workplaces are incredibly ‘green’ by nature (see ‘Greening the Workforce‘). The ecological footprint of a physical building, the energy it takes to create, condition and maintain it, along with employee commuting utilizes a massive amount energy. Of course, virtual world servers take a lot of energy too, but only a tiny fraction of what is required to maintain a physical building. I’ve even gone so far as to argue in previous posts that real life architectural projects should even be able to secure green accreditation by incorporating virtual spaces instead of physical spaces. What percentage of employees working in a typical metropolitan area actually depend on physical proximity to their colleagues every single day of the week anyway? Imagine the economic and environmental savings if even a fraction of those employees could conduct their work as efficiently in a virtual workplace. Finally, the design and construction of real-life architecture is not only expensive, but very time consuming. It is not uncommon for the turnaround time on a project to be several years. 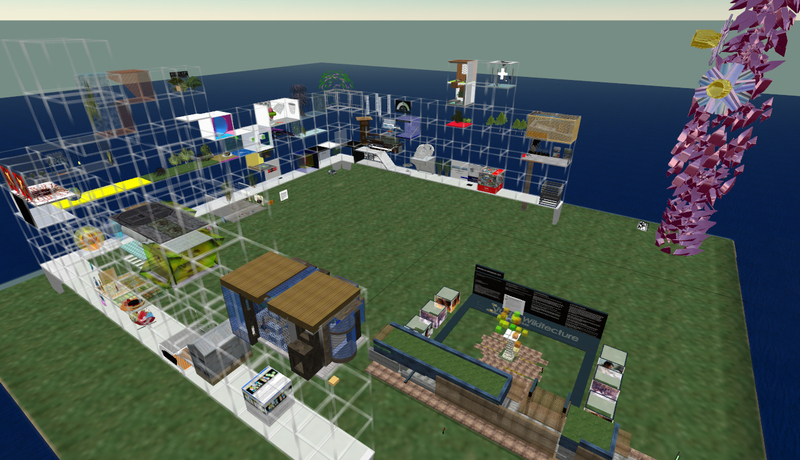 Second Life, in its infancy, has already demonstrated its viability as a platform for collaboration now. Imagine what the technology will look like several years from now. The virtual workplace certainly won’t be right for everyone, or every circumstance, but given the evidence and logic supporting its current and future value, I think it is naive to avoid some level of research and experimentation at this point. The pace of real-world architecture certainly doesn’t advance exponentially the way technology does. Personally, I don’t find it difficult to imagine newly minted office buildings sitting vacant long after the intended function transcends the building’s usefulness. The 2D web changed things quickly, but virtual worlds will be quicker. Next up: Characteristics and opportunities of virtual environments worth considering when developing a virtual workplace. Given the rapid growth of virtual worlds, it has quickly become a feasible and popular destination for a vast range of functions, from conducting business, teaching classes, networking, sales, holding conferences to a multitude of other purposes. In some cases, virtual interaction compliments real life functions. In other cases, virtual counterparts are completely replacing certain kinds of real life interactions. In either case, the phenomenon of physical transcendence into a lower cost virtual medium has already started, and will inevitably and significantly change the way we think about physical architecture in the very near future. This course will hypothetically consider a large world-class accounting firm that has hired an architecture firm to design a new headquarters. Like any company with employees stationed worldwide, they depend on local commuting, long distance travel and hotelling to accommodate a global work force. As architectural plans for the headquarters are evolving, a group within the company starts holding their weekly meetings in Second Life as an alternative to long distance travel and commuting. Within a few weeks, they are able to save time and money using this virtual alternative and the concept starts to catch on in other departments throughout the company. As this alternative becomes increasingly pervasive within the company, they realize it could be a significant cost savings to reduce the square footage of the new headquarters in favor of a virtual counterpart. The architects are informed that the building’s square footage can be decreased by 5%. Who should be responsible for designing the virtual architecture? Should it interface and share common characteristics with the architecture of the new physical headquarters? Will such fundamental principles of wayfinding, scale, proportion, and hierarchy be important in the virtual counterpart? Does an architectural background lend itself to designing this kind of virtual interface, or is the design of this environment a better fit for game designers, 3D modelers and computer programmers? If construction and annual use of a certain percentage of physical architecture can be transcended into a virtual mode, could it be considered a sustainable or ‘green’ measure? This studio asks students to consider and propose a design solution for the virtual workplace described in the previous ‘Augmentation of Architecture’ course description. How can the architecture of this virtual space facilitate this new virtual workforce? What kinds of spaces will encourage efficient interaction and communication? How can the architectural concept of the real life building be translated into this virtual interface? Note: Because Second Life provides an environment where anything is possible, designing virtual spaces encourages (possibly even requires) a return to the basic fundamentals of architecture. When designing in a virtual medium, designs that do not have a strong sense of hierarchy, scale and proportion are unsuccessful and difficult to navigate. Moreover, when the design solution is complete, members of the public can be invited in to tour the design solution and critique the design. By enabling the design to be actually populated by avatars, the success or failure of design gestures becomes immediately apparent. This course will utilize an in-world ‘jury’ of selected users who will be asked to inhabit and critique the designs at various intervals throughout the semester from practical, functional and aesthetic perspectives. When designing in a virtual medium, concepts lacking a strong sense of hierarchy, scale and proportion are unsuccessful and difficult to navigate. This course asks students to design an art gallery for use in an exclusively virtual environment. The aim of the studio will be to encourage and reinforce a ‘back to basics’ mentality of design that requires solutions to be both clearly navigable and functional. The final presentation will consist of a grand opening of the galleries for public viewing. Members of the in-world community will be able to inhabit and critique the final projects. Tomorrow, Ryan Schultz and I are heading to Milwaukee to demonstrate Second Life to the American Institute of Architecture Students FORUM convention. For my part, I put together a survey of everything I could think of related to architecture in SL, and Ryan put together a more philosophical perspective of how we think virtual worlds and web 2.0 will be affecting these students, as the next generation of architecture professionals. We will conclude with a live demonstration of the Wikitecture project, and show our progress to-date. Beyond our demo, we have the unfortunate reality of reporting to them that New Zealand’s equivalent of their AIAS convention already kicked their butts earlier this year by purchasing an island, hosting an architecture competition, and streaming their entire conference live into Second Life for everyone to enjoy. The only comfort we can provide is that Ryan and I (former members of AIAS) took both first and second place in their competition! lol. One way or another, 2008 will be catch-up time for AIAS in Second Life, and we hope to kick-start that process tomorrow! We will be giving a similar presentation at Metaverse U at Stanford University in February. Phew… Finally, the Official Kick-Off Meeting for Wikitecture 3.0! Can mass collaboration and collective intelligence improve the quality of architecture and urban planning? We are happy to announce that, Studio Wikitecture will continue to try to tease out this question, via it’s 3rd Wikitecture experiment kicking off officially on Nov. 7th. To accommodate those in different time zones, there will be two different times: Wednesday, Nov. 7th @ 9:00am and 6:30pm PST/SLT. The project on which this experiment will center around will be the competition recently announced by the Open Architecture Network. Competition sites range from a medical facility in rural Nepal, a media lab and library in the slums of Nairobi, or a fair trade chocolate factory in Ecuadorian Amazon. Since the OAN is an “open-source community dedicated to improving living conditions through innovative and sustainable design”, we thought it would be a perfect opportunity to submit an entry for this competition that is, in turn, designed and composed in the same collaborative and open-source fashion. We would be happy for you to join the next experiment and help us design this collaborative competition entry. You don’t need any experience in architecture, engineering or construction to participate. We actually believe the more diverse the pool of contributors, the better. You will need, if you don’t already, a Second Life account. Registering is easy. Once you have downloaded the Second Life application, registered an account and log in, press the ’search’ key on the bottom of your screen. Look for the group ‘Studio Wikitecture’ and click ‘join.’ Enrollment is open to all. For the login: use your full ‘Second Life’ name. If you have an problems, don’t hesitate to IM either Keystone Bouchard or Theory Shaw in-world and we’ll come by and help you. We are not only excited about the project, but the new website and in-world interface (not operational, until nov. 7th) that will allow everyone to better communicate and collaborate with each other over the duration of the project’s two month time frame. Allow with the following description, this video, provides a nice overview of the technology behind Wikitecture 3.0 as well. Over the last year, we have been using the virtual world of Second Life as a platform for conducting ‘Wikitecture’ experiments to work out the procedures and protocols necessary to harness a group’s collective intelligence in designing architecture. We have already conducted 2 experiments within Second Life to explore this idea of ‘open source architecture’. The videos of their final form can be found here: 1.0 & 2.0. The following gives a brief overview of the evolving functionality behind Wikitecture 1.0, 2.0, & 3.0. Wikitecture 1.0 was not really a true Wiki in the sense that contributors could not modify or delete the contributions of others. What resulted, although interesting in its own right, was an amalgamation of ‘stuff’ with not no overall coherency or unity – a result we expected. In the 2nd experiment, we asked contributing members to enable full-permissions on every object they added. This new protocol enabled designers to add/modify/delete each other’s designs. In addition, we set up a Flickr Account that allowed contributors to upload descriptive snapshots of their designs and leave feedback as well. With Wikitecture 2.0, we also introduced an archiving system, where members, through community consensus, were able to roll-back the ‘live’ design to previously saved iterations. Although this system was still rudimentary, the resultant design was far more unified and coherent than Wikitecture 1.0. For our 3rd experiment, however, we have continued to try and improve upon this underlying technology. In teaming up with i3D inc., experts in creating virtual applications that cross the 2D/3D divide, we have developed both an in-world interface (’wiki-tree’) and external website that continually communicate with each other. From the in-world perspective, contributors are able to archive their particular design into an abstract ‘leaf’ within a 3-dimensional ‘tree canopy’. As this canopy grows, the branching network of ‘leaves’ communicates to other designers, how related all the different designs are to each other. image of the ‘leaf canopy’. Although not always the case, the general rule will typically apply: one ‘archive leaf’ = one design iteration = one contributor. In addition, to fully communicate their vision and rationale behind their designs, this interface will allow contributors to take snapshots of their designs and, combined with descriptive commentary, upload them to the external website. Since there will be multiple designs iterations within the ‘tree canopy’ and only a limited amount of land, the ‘wiki-tree’ interface, by touching the leaves, will allow members to ‘rez’ out the designs, one by one, onto the viewing parcel. Once rezzed out, viewers are then able to immerse themselves, 3-dimensional, in the design. In addition, to augment the experience of actually occupying the space, the three screens in the viewing kiosk near the ‘wiki-tree’ will allow users to cycle through the snapshots and comments associated with the active design on the viewing parcel as well. This viewing kiosk will become especially helpful for those who want to communicate their designs informally with a smaller group of individuals. The ‘wiki-tree’ allows the community, in turn, to vote and comment on their fellow contributor’s designs. Other than cycling and rezzing out the individual designs from the ‘archiving leaves’, The website component will allow users all the same functionality as the in-world interface. In other words, through the website, members can vote and add comments, as well as upload images they would like to associate with their saved designs. What if this collaboratively designed entry actually wins this OAN competition? How will the reward money actually be divvied up amongst the contributors? If you worked on the last Wikitecture experiment, we will be using the same system whereby we ask all the contributors to assess what percentage they feel they have contributed to the design as well as what percentage they feel others have contributed. The general idea being, that when everyone’s assessment of each other is averaged out, however subjective it may be, a pretty fair judgment is made to how much (compensation, ownership, IP rights, etc) should be dolled out to each contributor. If, in the event, Studio Wikitecture’s entry wins the competition, we will distribute the winnings in this manner. Although this system of assessment is not perfect, we feel it’s a start. This is one component of the experiment we feel will need to be massaged here and there as we go forward and would love your input to help improve it. Throughout the next two months of designing and assessing, if you have an idea on how to improve either this contribution assessment procedure, or any other functionality for that matter, please let us know. We have set up a forum for such discussion: Feedback & F.A.Q. Although, this collaborative platform is light years beyond what was used for the 2nd experiment, please be aware that it’s still somewhere between alpha and the prepubescence beta stage of development—we will most likely encounter our fair share of bugs. Although running at a base level right now, certain features will not be available until Nov. 7th. Would you like to participate in the AMD Open Architecture Challenge on a global team of qualified and talented architects, designers and engineers? Studio Wikitecture invites you to just that. In keeping with the spirit of the Open Architecture Network’s goal of ‘improving the living standards through collaborative design,’ we will be employing the next generation Wikitecture process in order to more fully enable true 3D collaboration by community members from around the world. In much the same way Wikipedia enables multiple contributors to collaborate on content creation, the Wikitecture process gives community members an opportunity to share ideas, edit the contributions of others, and to vote on the success or failure of proposed modifications. Through a series of ongoing experiments during the past several months, the Wikitecture process has been evolving based on community participation and feedback. With this input, Theory Shaw has developed the ‘Wikitecture Tree’ concept, and we’ve hired the clever folks at i3Dnow to build it for us, which will include both inworld and web-based functionality. We hope to roll out this new platform just in time to get started on a collaborative Wikitecture competition entry for the AMD Open Architecture challenge. The Wikitecture process currently uses the free to use, free to access virtual reality platform of Second Life to enable multiple contributors to share ideas and collaborate on design concepts. 2.) Complete the orientation course to help familiarize yourself with navigation, etc. 3.) Click on the ‘Search’ button on the bottom of your screen. With the ‘All’ tab highlighted, search for either ‘Keystone Bouchard’ or ”Theory Shaw’ – the organizers of the Wikitecture project. Click on their name, and you’ll see an ‘Instant Message’ button in their profile. Send either of us a message, and we will get back to you shortly with more details on how you can join the community. 4.) By clicking on the ‘Map’ button and searching for Architecture Island, you will be able to teleport directly into the site location, and migth even run into other members of the in-world community who can help with any questions you may have. To join our project page on OAN, visit HERE. I’ve decided to Open Source several of the scripts behind the Reflexive Architecture installations, with Fumon Kubo’s permission under the Creative Commons Attribution-Share Alike 3.0 License. Since this work is inspired by so many others, it only makes sense to make these open and accessible in order to encourage their ongoing development and evolution. If you use these scripts, I strongly encourage you to share screenshots or machinima of whatever you create for publication here, in order to inspire others to continue developing this. 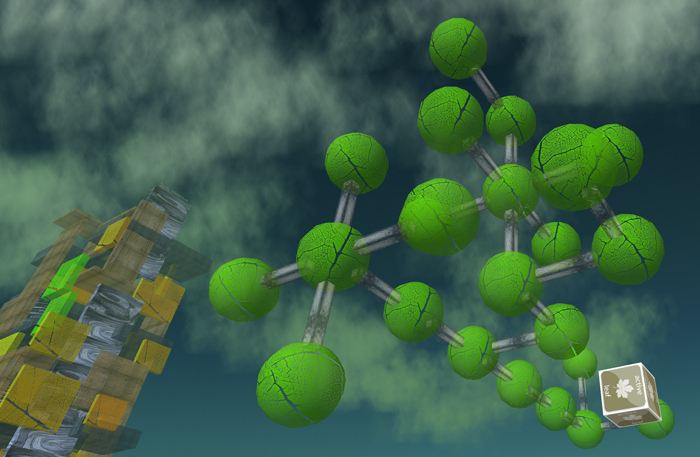 More about reflexive architecture HERE and HERE, machinima here: 1, 2, 3, 4, 5, 6, 7, 8, 9.